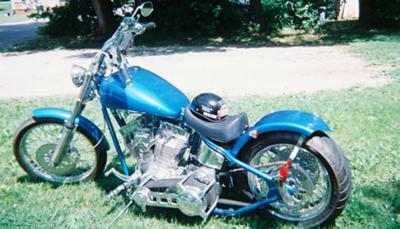 3 years off and on and I created this 113 cubic inch pre-evo hardtail chopper. Join in and write your own page! It's easy to do. How? Simply click here to return to Chopper Motorcycle Pictures: Become Famous!.